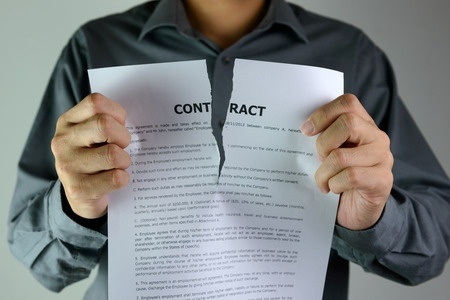 There is not a significant amount of case law on the topic of how to determine whether a party’s breach of a contract rises to the level of a “material breach.” However, an Indiana court recently provided some direction with its decision in State of Indiana v. IBM. The State of Indiana entered into a 10-year, $1.3 billion outsourcing contract with IBM. The contract provided that IBM would overhaul and update the state’s welfare system, including providing the ability for residents of Indiana to apply for welfare benefits online or by calling a call center. However, once the new system was implemented, it caused an increase in error rates and slowed the rate of eligibility determinations. The State of Indiana terminated the contract, claiming that IBM had materially breached the timing and quality requirements under the agreement. The court concluded that because the state obtained an improved welfare system from IBM, it was not denied the benefits it reasonably expected. The court also found that just prior to the termination of the contract, IBM was in the process of curing the timeliness problems. Finally, the court discussed whether the breach went “to the heart of the contract” and found that because IBM substantially performed, there wasnt a material breach. The court’s decision is troublesome because IBM avoided the material breach claim by only meeting between 50% and 80% of the required service levels. The court did not give much credence to serious breaches in the service levels and instead focused on the disclaimed warranty of “uninterrupted or error-free operation” when analyzing the performance issues. To learn more about how to draft an effective contract or how we can assist you with other business-related matters, contact Leslie S. Marell today.